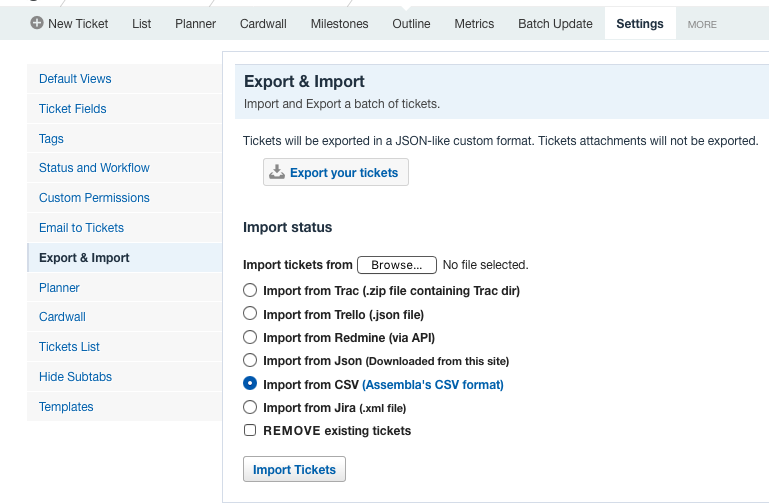 If you need to transfer tickets from one Assembla Space to another, you have two options: you can use our JSON or CSV export and import options. It's also important to note that after performing this task, the "author" of the associated data will not be the original user, but the user who performed the import. Then select the Import Tickets option to start the transfer. The tickets will appear in the new space once the transfer is complete. You can also see Import status on the Export & Import page. 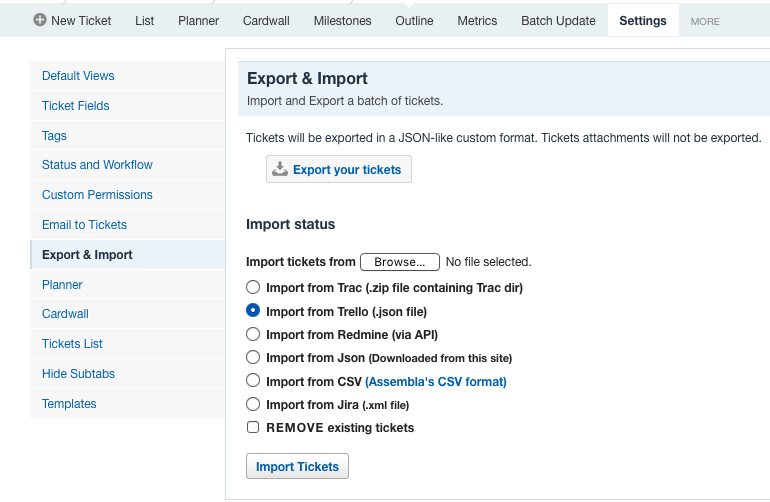 The import from CSV option works the same as Json, but will only transfer tickets and will not include any additional data.